SCVHistory.com HM7201 | SCV Healthcare | Henry Mayo Hospital Building Fund. 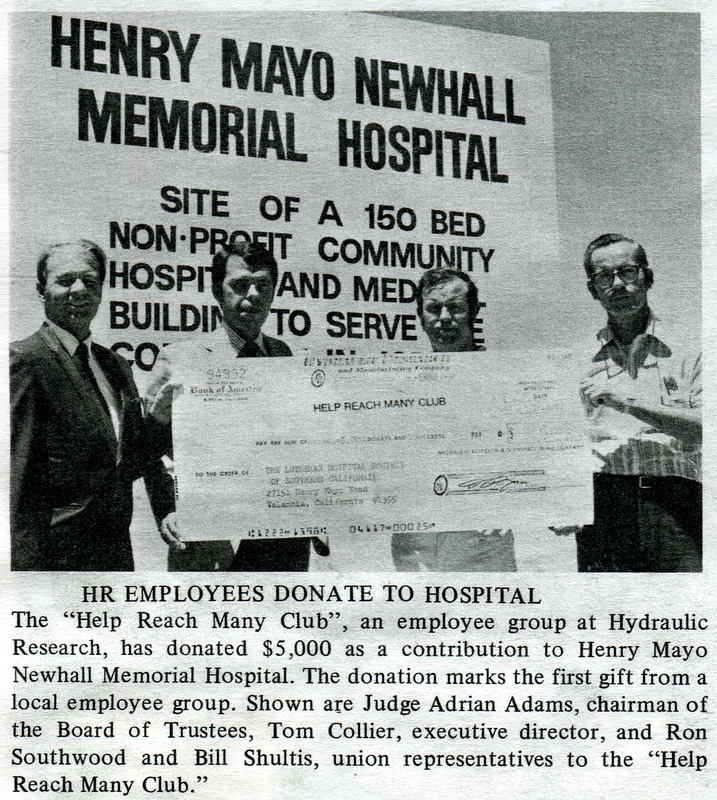 Beginning in December 1970, the volunteer Henry Mayo Newhall Memorial Hospital board, chaired by Judge Adrian Adams, was tasked with raising as much of the nonprofit hospital's initial $8.5 million construction cost as possible from the community. Funds were raised in all sort of ways — everything from debutante balls and gift shop sales to golf tournaments and direct corporate and employee giving. 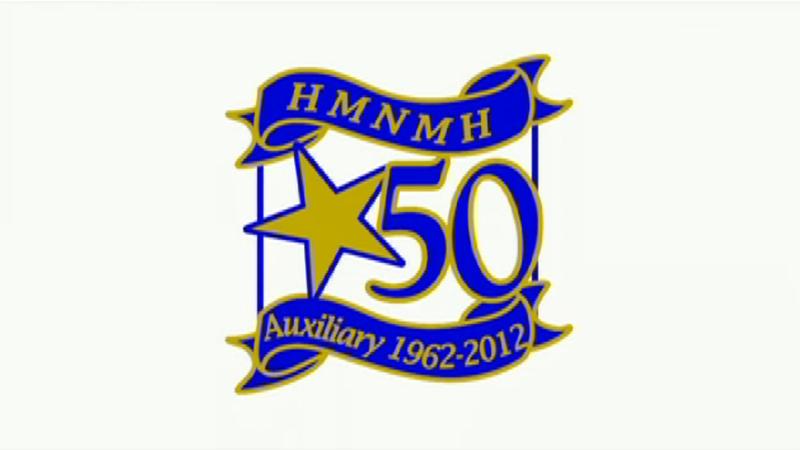 The "Help Reach Many Club," an employee group at Hydraulic Research, has donated $5,000 as a contribution to Henry Mayo Newhall Memorial Hospital. The donation marks the first gift from a local employee group. Shown are Judge Adrian Adams, chairman of the Board of Trustees; Tom Collier, executive director; and Ron Southwood and Bill Shultis, union representatives to the "Help Reach Many Club." Collier was the administrator of Inter-Valley Hospital in Saugus, which the Henry Mayo board and its nonprofit partner, Lutheran Hospital Society, purchased in preparation for opening the Valencia hospital.